I want to give a BIG thanks and send out virtual hugs to all of you for your support and words of encouragement during my grandmother’s passing. It was an honor to share a glimpse of her last moments with you, and I so enjoyed hearing your touching, personal stories of your own connections to those you love. 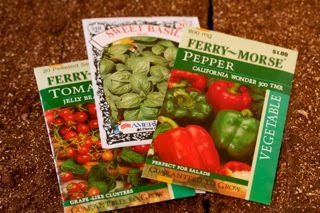 In honor of life, I am choosing to start a garden this spring! 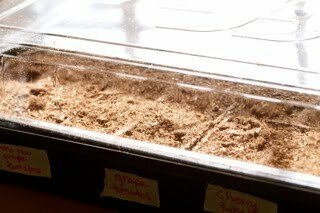 We’ve had small gardens in the past, but this is the first time I’ve ever started the seeds on my own. I have to admit that although excited, I was nervous to get started. Not quite knowing what to do, I called my good friend and awesome gardener, Dana, for some tips. I like to think of my life as a garden, so as I got my hands in the dirt I couldn’t help but reflect on the things that are growing abundantly in my life, and the things that need more care. Just like our garden, we must nurture ourselves, take time for our dreams, and feed our souls, so that our life can grow to its fullest, vibrant potential. 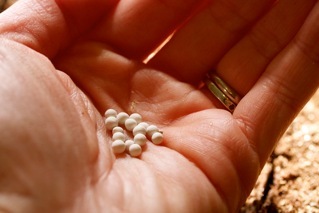 Now, let’s get started planting new seeds. Fill the Jiffy pots with dirt. 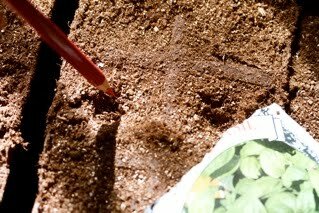 Use a pencil to make small holes in the center of each pot. Pour water in the bottom of the tray so the pots can soak it up from the bottom. If you notice any standing water, sop it up so the bottoms of the pots don’t rot. 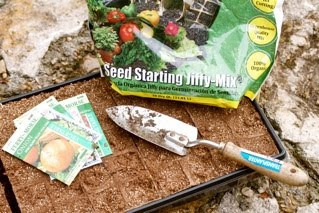 Place the lid over the seedlings and send them some lovin’. 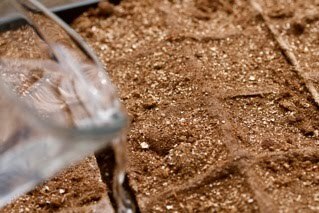 The trays should go to a warm area, but hold off on putting them in direct sunlight until you see the seedlings popping through the soil. Once you start to see signs of growth, pop open the lid, and eventually remove it all together. (These directions come with the Jiffy pots.) 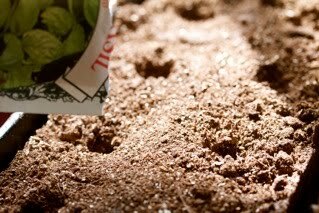 Keep the soil moist and keep an eye on your seeds daily so they don’t get bone dry. Have fun caring for your new garden! The abundance that comes from daily care will be quite apparent in a few months from now. 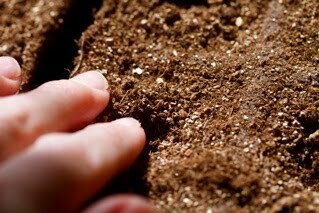 Your Personal Reflection: What little steps can you take daily to nurture the seeds in your life so that you can create the best possible garden for your dreams? Wow. I would love to do all that one day. I don't think my first comment went through, so I'll try again. You mentioned steps toward daily nurture…I am working to make realistic expectations for myself. 🙂 Great post! Thanks, you two, for your great comments. S.E. Minegar – LOVE your steps towards daily nurture. I think I may be borrowing that one! Exciting! Oh, I love gardening. 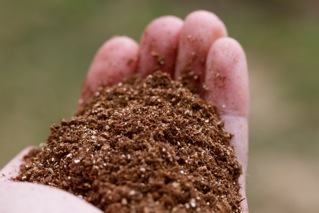 I love feeling the dirt in my fingers. Looks like you are going to have a yummy garden in a few months. Have a wonderful time with the family, Shannon. I'm taking off soon, too, but will be back mid-next week. Looking forward to the course!